At the Weston Center for Plastic Surgery, board-certified plastic surgeon Nathan Eberle, M.D., D.D.S., specialize in revising/rescuing botched plastic and cosmetic surgeries for patients in Fort Lauderdale and Broward County. Plastic surgery is a popular cosmetic procedure in today’s world. Women want to feel good about their bodies, and they want to look as glamorous as the celebrities they see in magazines and on television. This drives many individuals to run to the most affordable plastic surgeons to get their procedures since deals and specials seem to be a dime a dozen due to high demand. With so many experts – or so-called experts – performing plastic surgery procedures, it is difficult to know who will do the best job and if a slashed-price cosmetic surgeon is qualified to perform a top-quality procedure. It’s essential that anyone who wants to undergo a plastic surgery procedure does the required research to make sure a plastic surgeon has formal training and plenty of experience. There are too many scams and non-ethical people out there touting the positives of plastic surgery and offering to perform the procedures (for a steal of a price) without taking the time to ensure a patient has the best care. Often, a patient opting for the lowest-priced surgery will not get to meet his or her doctor ahead of time. Sometimes, he or she will take unnecessary risks – and forgo proper aftercare – just to keep costs down. This is gambling with one’s safety and life. Even though you want to feel and look better, don’t fall prey to unscrupulous practices. Take time to interview the professional who will be performing your plastic surgery. Ask all of the questions you want about surgery methods and healing time, and don’t take the best price offered to you without questioning all the risks. When you get a surgery performed right the first time, you will not need to deal with botched procedures and risks to your health. To correct a botched breast augmentation, patients come Dr. Eberle to get their implants redone. Many of these women are looking for minor revisions, but some patients need major issues corrected because their implants have worsened over time. Dr. Eberle addresses each patient’s problems by using restorative methods to properly place implants in relation to the existing breast tissue. After a restorative procedure with Dr. Eberle, patients look as amazing as they initially desired. Patients who have had a bad rhinoplasty, or nose job, come to revision cosmetic surgery experts such as Dr. Eberle. These types of physicians are trained to correct inferior results of other plastic surgeons, and they often face some of the toughest work during a procedure. Performing a revision rhinoplasty is especially challenging. Dr. Eberle, however, knows the importance of making sure that aesthetic and breathing issues are addressed when performing surgery to repair a botched rhinoplasty. He is sensitive to the emotional needs of patients who have undergone traumatic experiences with their previous procedures, and he explains exactly how he will finally make their nose look and feel better. When patients have received unsatisfactory results with previous eyelid lift surgeries or blepharoplasty, Dr. Eberle performs Revision Eye Lifts, Ectropion Repair, or Ptosis Repair. He is experienced in these extremely specialized cosmetic surgery techniques, and he realizes that these procedures must be performed precisely and delicately. The eyelid tissues are fragile, and they are known for being unforgiving when treated overzealously. Revision done to the eyelids, therefore, should be performed by a doctor who will make any follow-up surgeries a non-factor. One surgery should be enough. Dr. Eberle performs Revision Facelifts, or secondary Facelifts, to correct the damage that has been done to the face since the original facelift procedure. This damage could be caused by aging or the sun. Sometimes, a Revision Facelift is performed because the first facelift was not performed adequately or properly. With a Revision Facelift, a patient can have that perky and beautiful face that he or she envisioned from the start. Lip augmentation surgeries do not always go as planned, unfortunately. This is why Dr. Eberle performs Revision Lip Augmentation procedures for his patients. 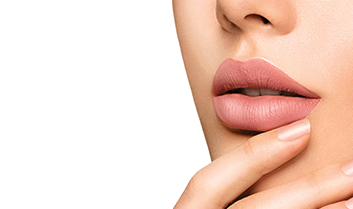 He is able to remove lip silicone that has been implanted poorly in previous surgeries and has, therefore, resulted in asymmetrical lips on a patient. Dr. Eberle can correct lip augmentations that look bad because of scar tissue formation. He also fixes implants that are extruding or have shifted, and he addresses lip irregularities that have formed because of infection after surgery. When patients get chin implants and cheek implants to augment the chin and cheekbones, revision is necessary if the procedures have resulted in a disproportional shape or volume in these areas. Chin or cheek revision is done alone or in combination with a nose job (rhinoplasty), facelift or neck lift. Dr. Eberle’s patients most often come to him when they want to revise the work of another surgeon who chose the wrong shape or size of implant for their face. Some plastic surgeons are overly aggressive when performing brow lifts, and they elevate the brow and forehead too much. This often results in an individual having a startled or surprised look. Dr. Eberle is able to lower the brow so that a patient can correct a botched cosmetic procedure that has made you look unnatural or older. He corrects the brow line to put the face in a more harmonious position so that the patient looks relaxed and younger. If you live in Fort Lauderdale or Broward County and are seeking a revision of botched cosmetic surgery, contact Dr. Eberle, today for a consultation at the Weston Center for Plastic Surgery.